Charlotte Grimshaw is the author of a number of critically acclaimed novels and outstanding collections of linked stories, which have been published in New Zealand, the UK and Canada. As a reviewer in The New Zealand Listener noted: ‘A swarming energy pervades every page she writes . . . her descriptive writing has always been of the highest order. Most of it would work just as well as poetry’. 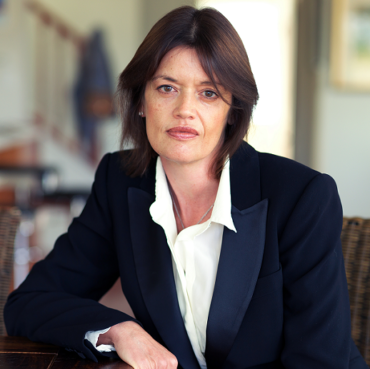 Charlotte has been a double finalist and prize winner in the Sunday Star Times Short Story Competition, and in 2006 she won the BNZ Katherine Mansfield Award. She has received the Buddle Finlay Sargeson Fellowship, and in 2007 she won a Book Council Six Pack prize. Her story collection, Opportunity, was shortlisted for the 2007 Frank O’Connor International Prize, and in 2008 it won New Zealand’s premier Montana Award for Fiction or Poetry. She was also the 2008 Montana Book Reviewer of the Year. Her story collection Singularity was shortlisted for the 2009 Frank O’Connor International Prize, and the South East Asia and Pacific section of the Commonwealth Writers’ Prize. Charlotte’s fourth novel, The Night Book, was shortlisted for the New Zealand Post Book Award. Her monthly column in Metro magazine won a Qantas Media Award in 2009, and in 2016 Charlotte was a finalist in the Canon Media Awards for Book Reviewer of the Year. Commenting in the Guardian, Jane Campion said: ‘She is a master of mystery, very contemporary and astute. Her language is relaxed, spare and perfect’. Charlotte’s latest novel Mazarine is out now. A full list of Charlotte Grimshaw’s titles, reviews and selected Metro columns can be found on her website.